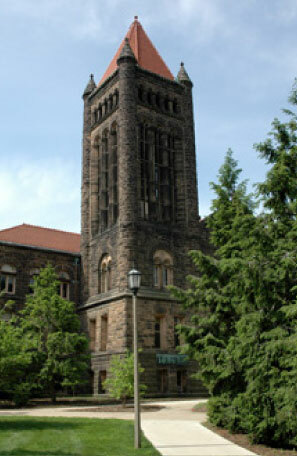 As part of the celebration of the sesquicentennial of the University of Illinois, Stephen A. Taylor, composer at the University of Illinois' School of Music composed a new musical work, entitled Archaea, to be played on the Altgeld Chimes and the McFarland Carillon during the University of Illinois Sesquicentennial Celebration. 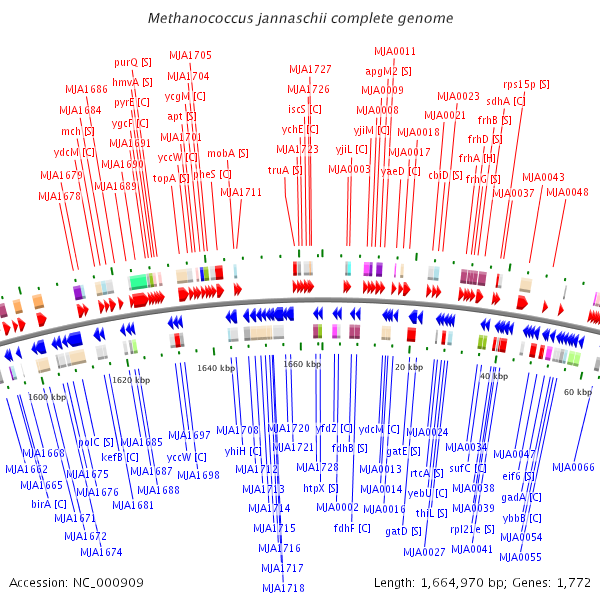 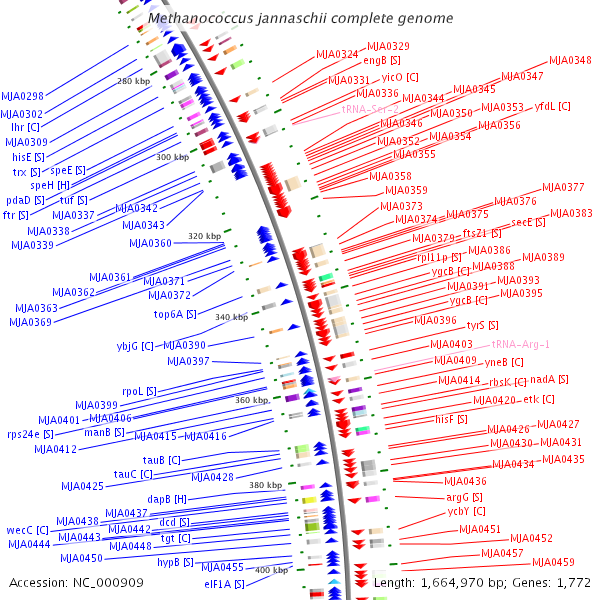 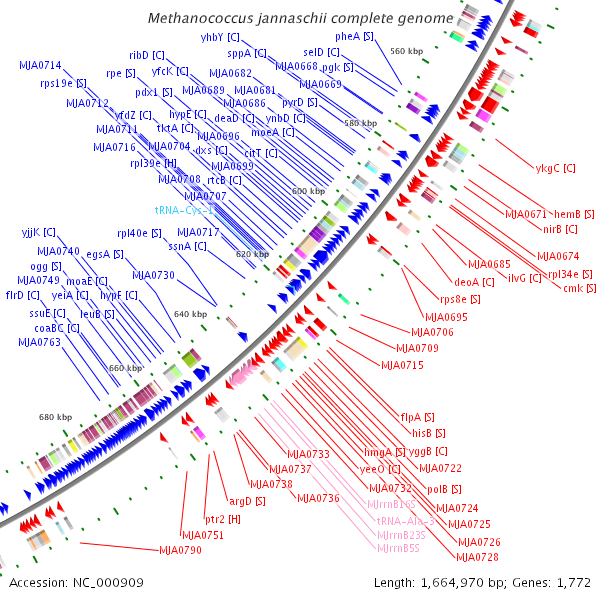 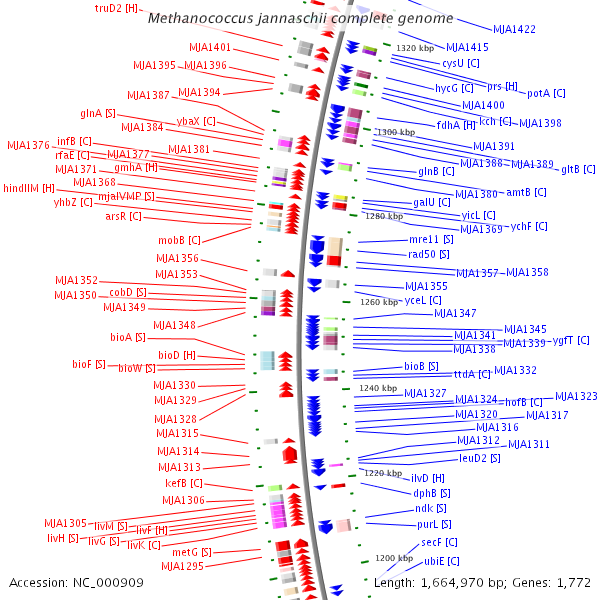 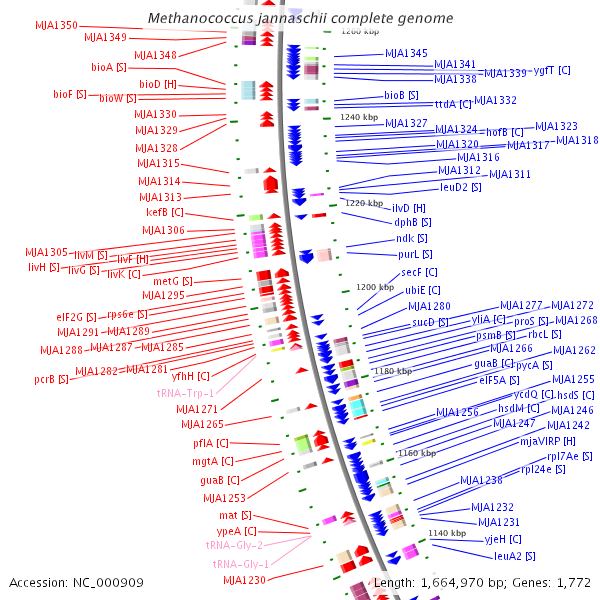 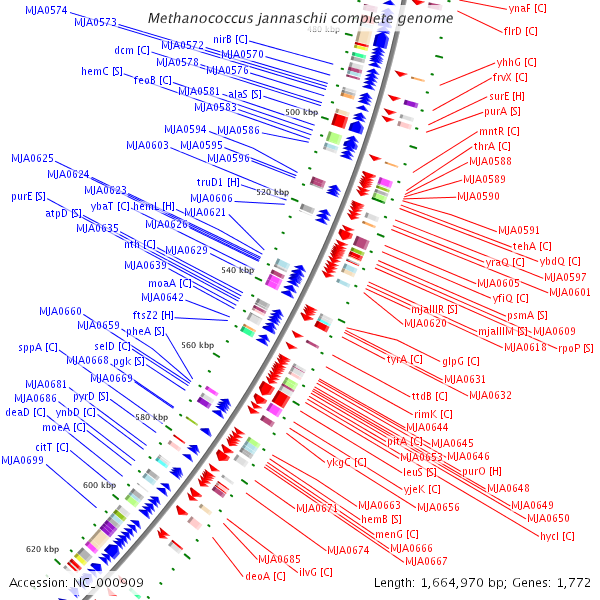 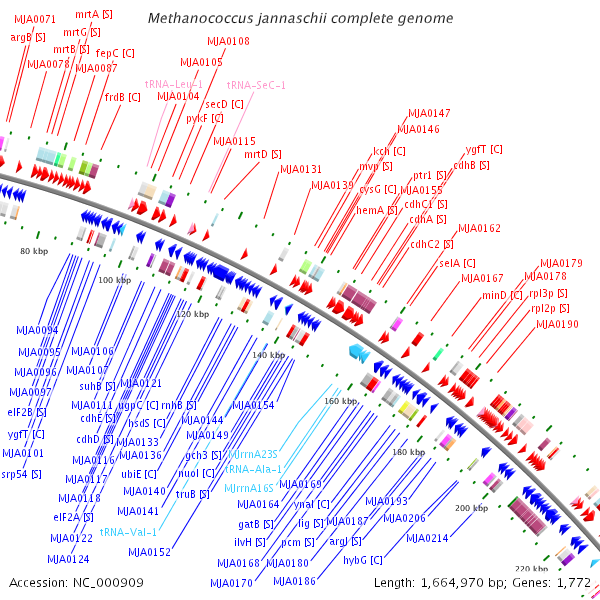 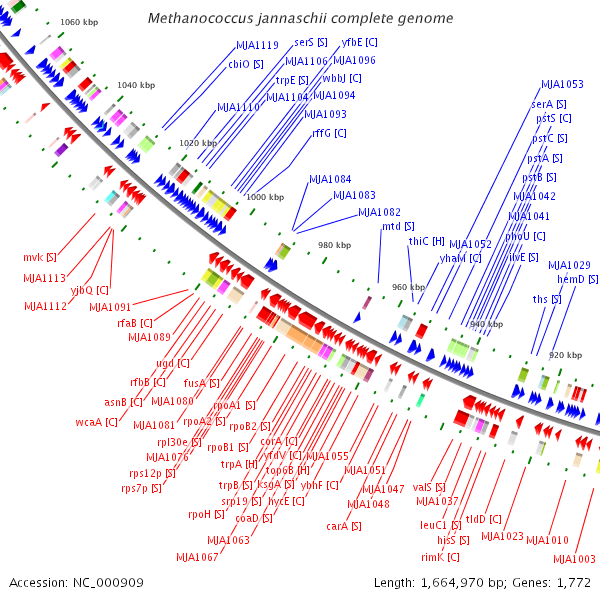 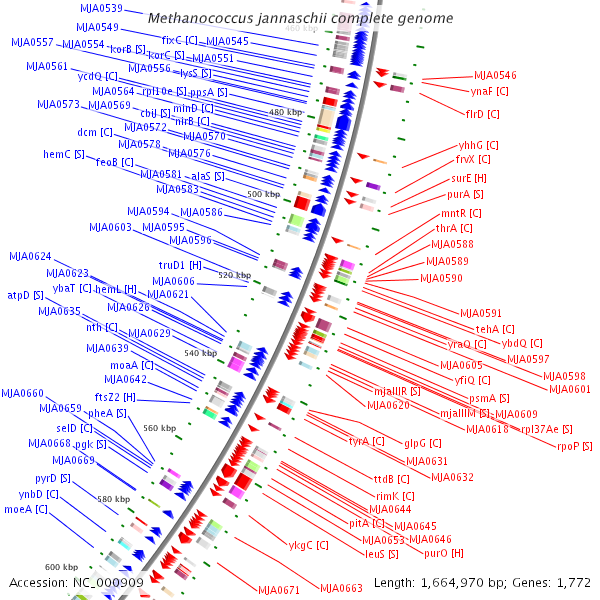 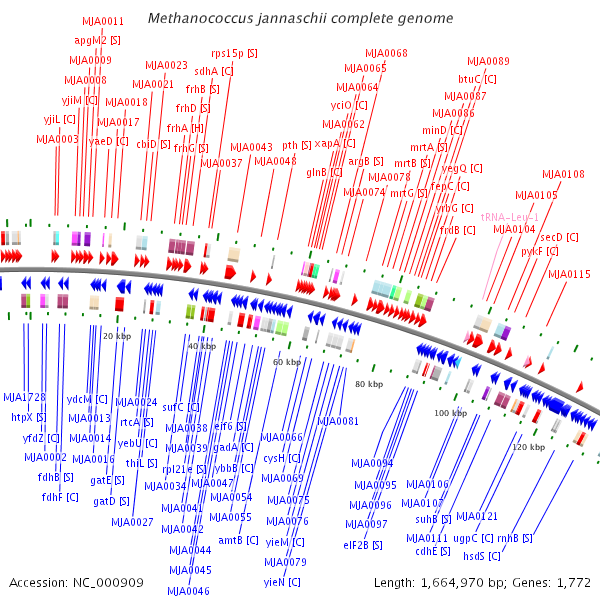 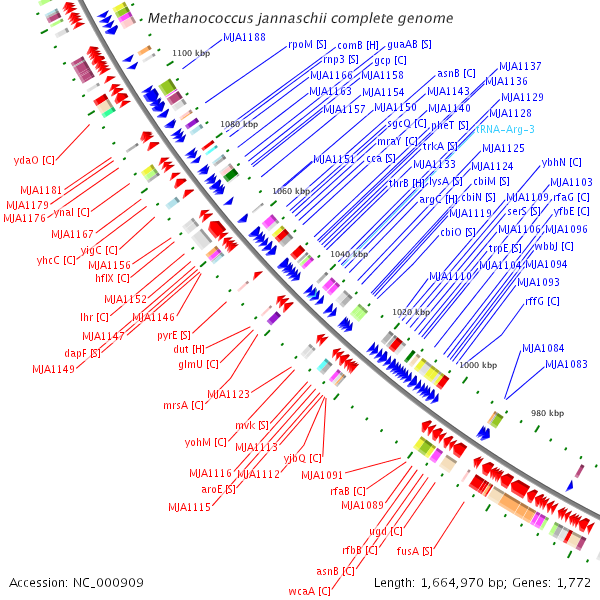 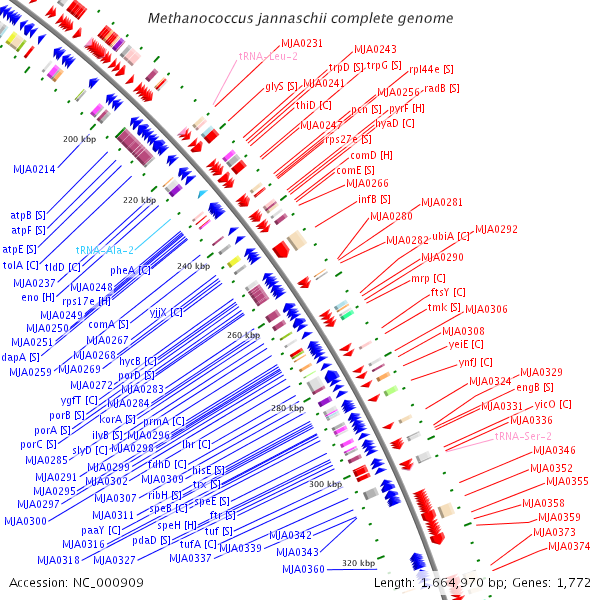 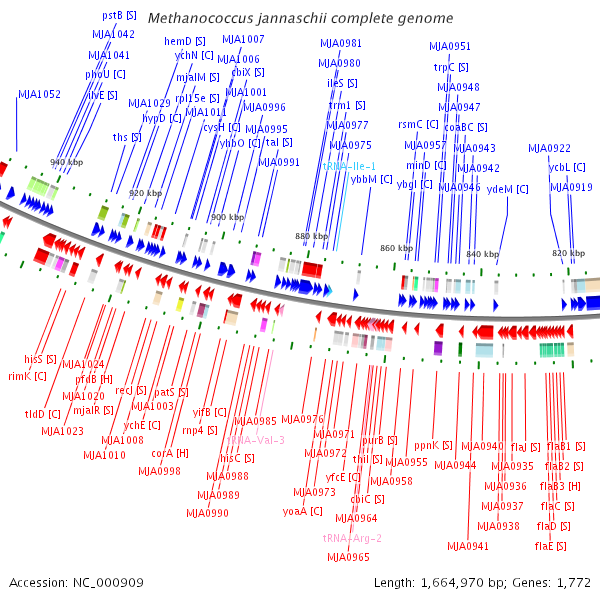 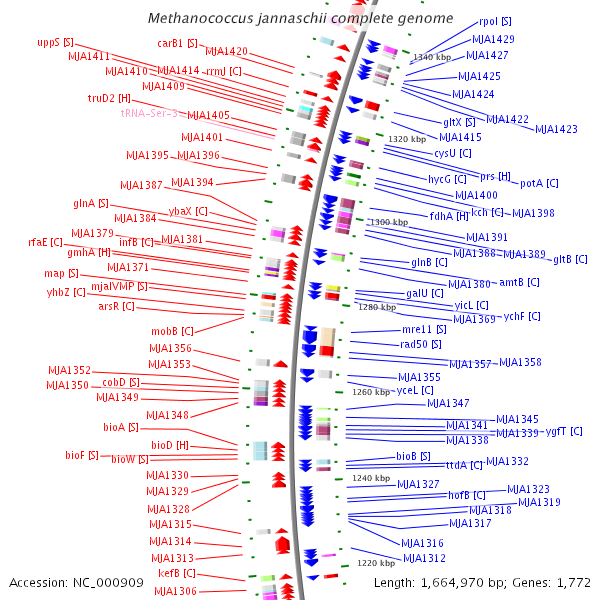 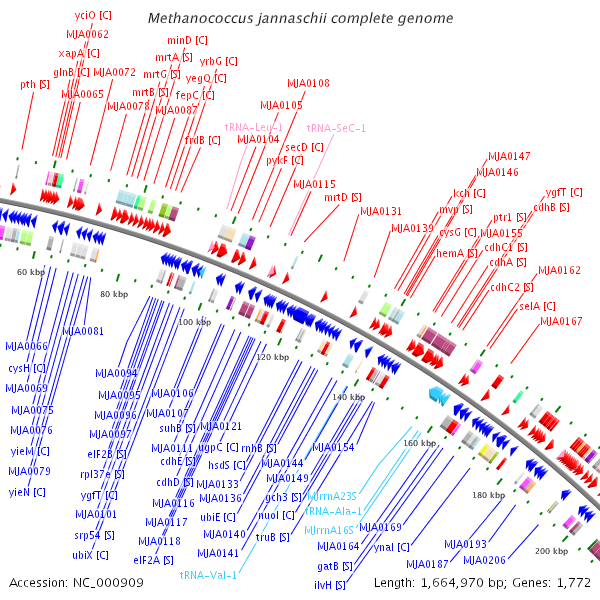 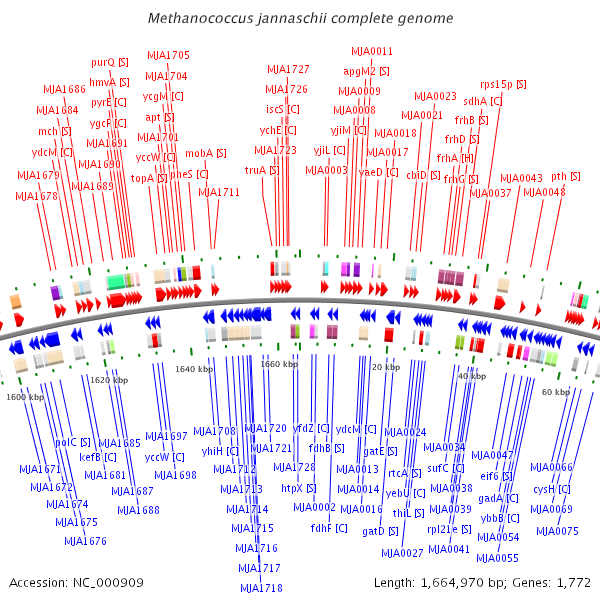 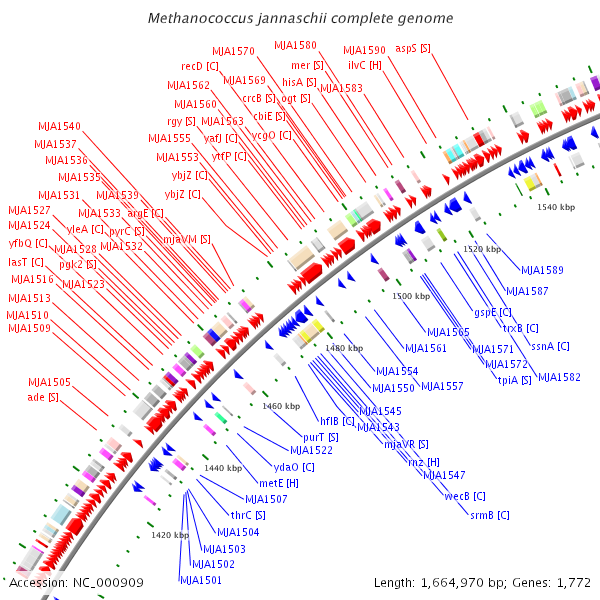 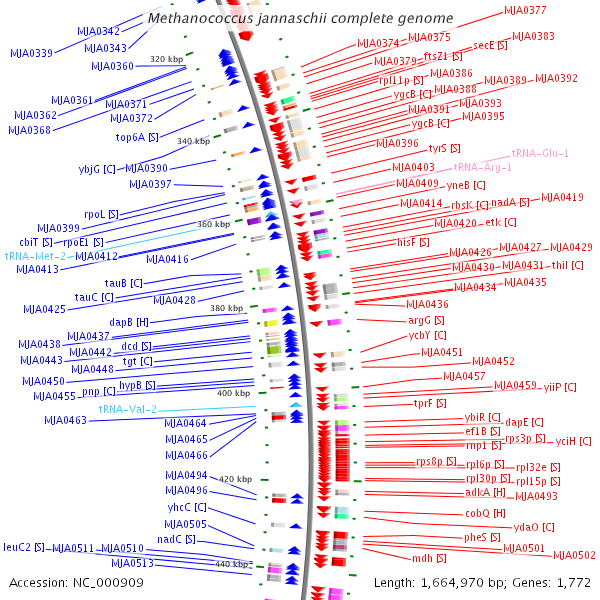 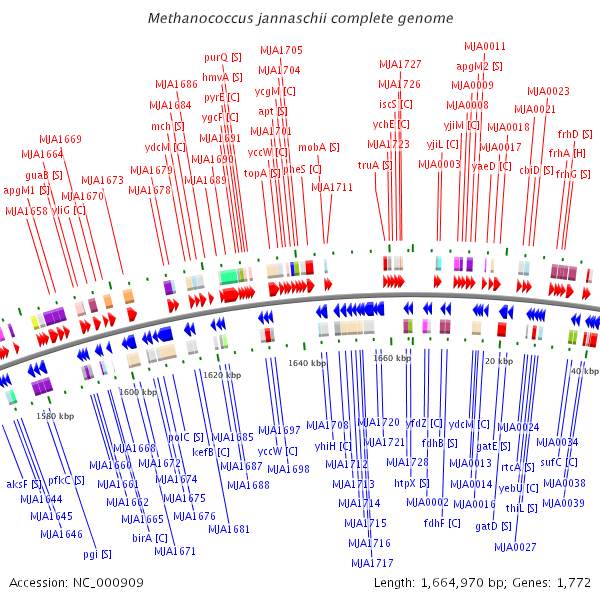 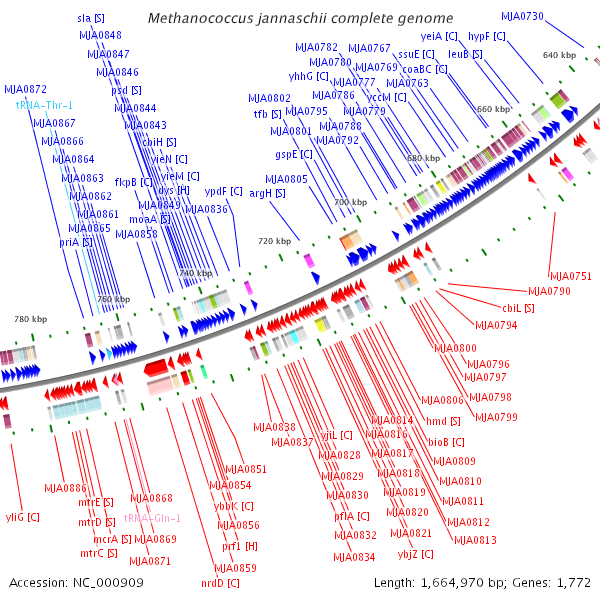 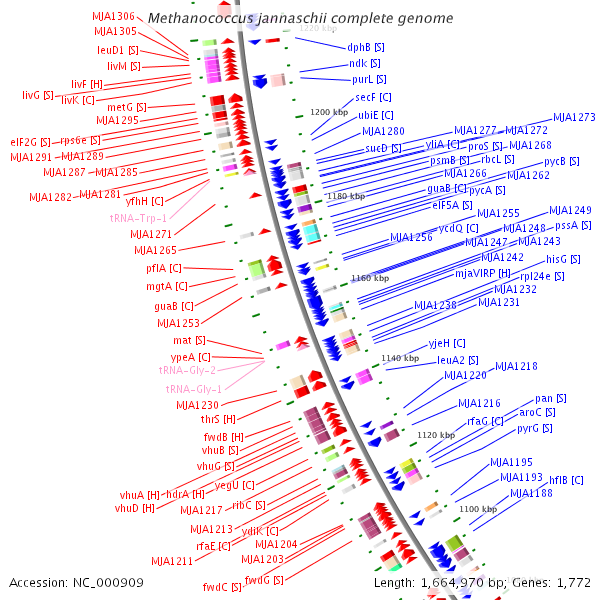 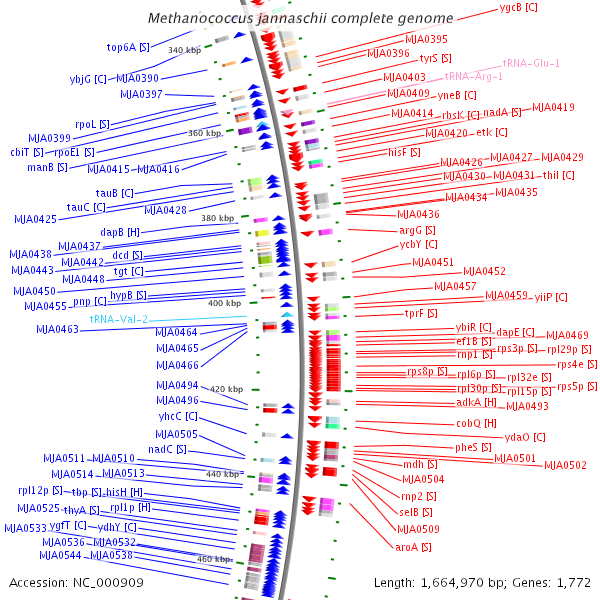 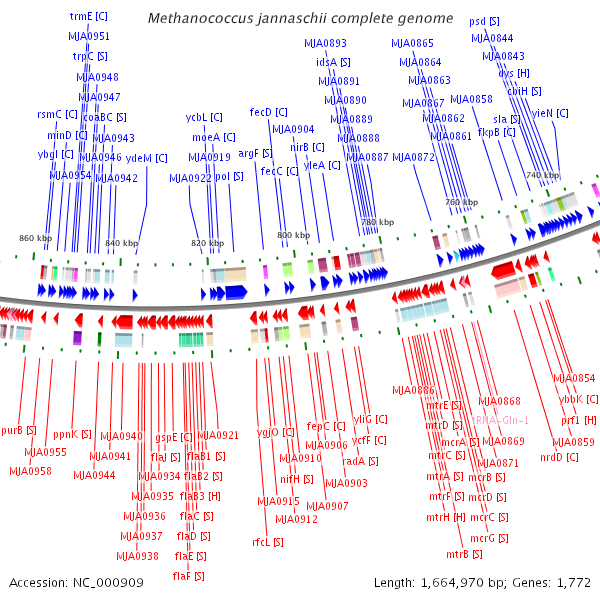 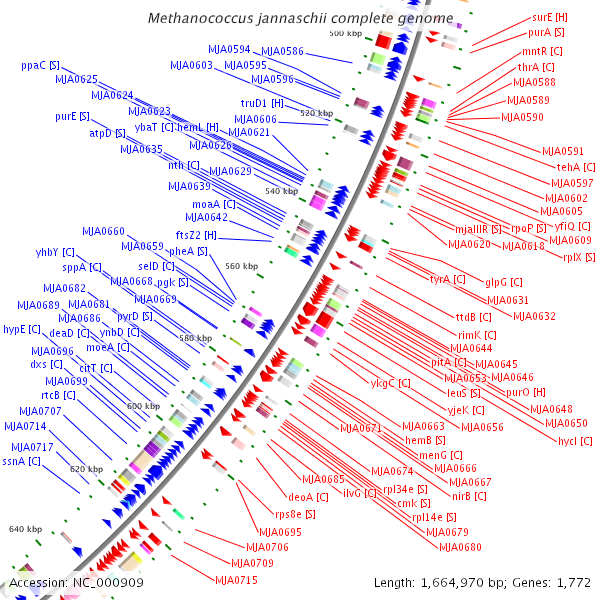 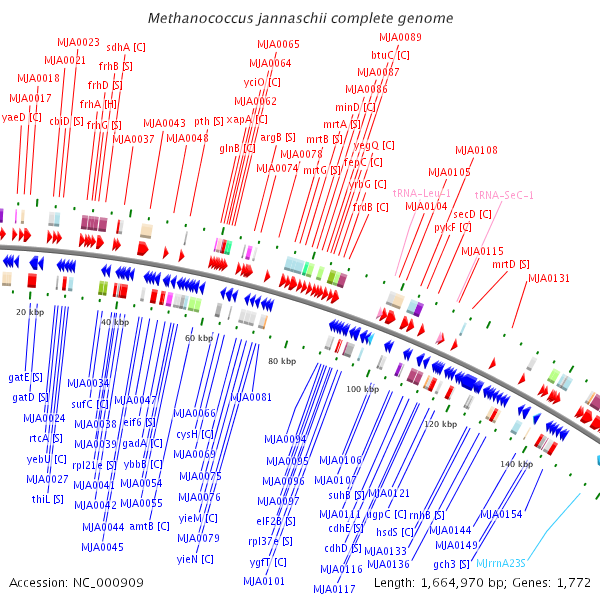 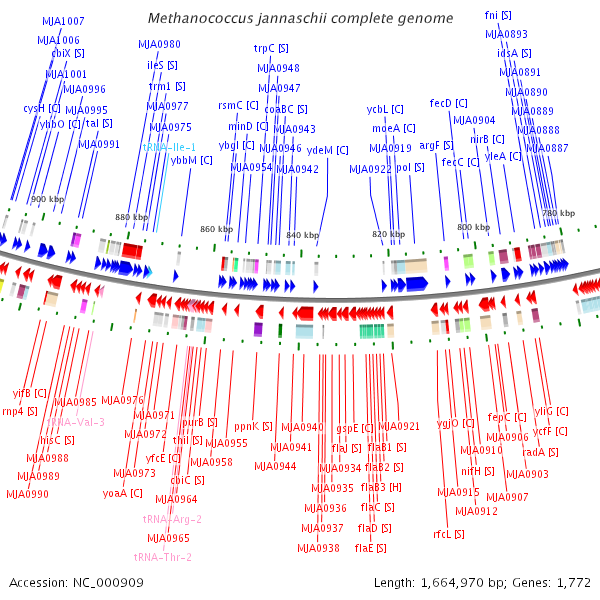 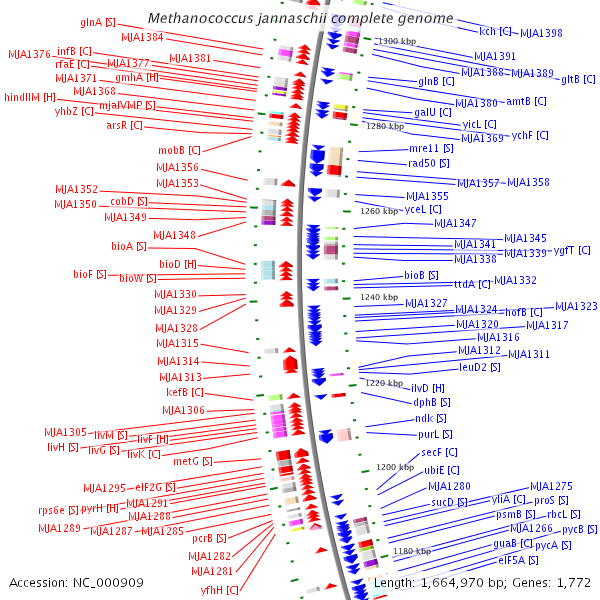 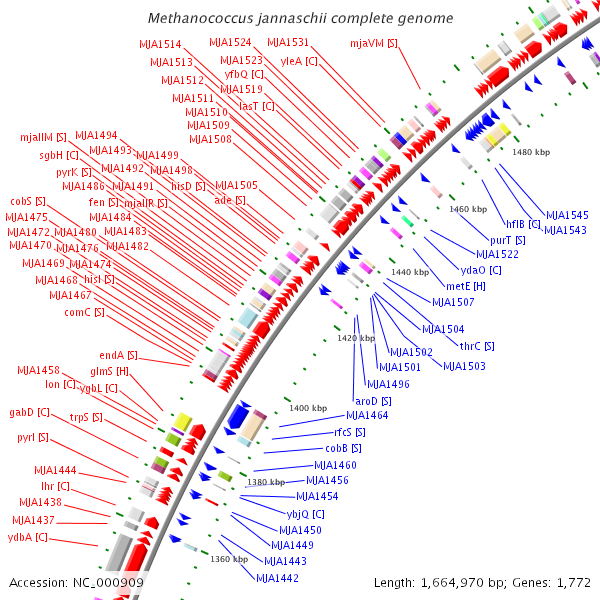 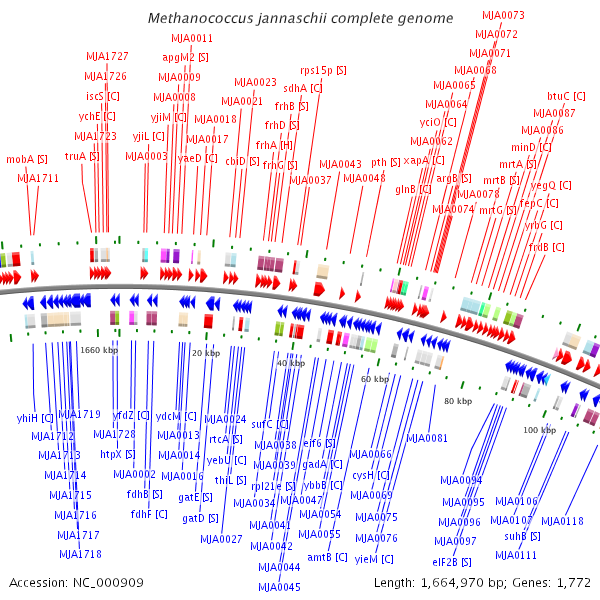 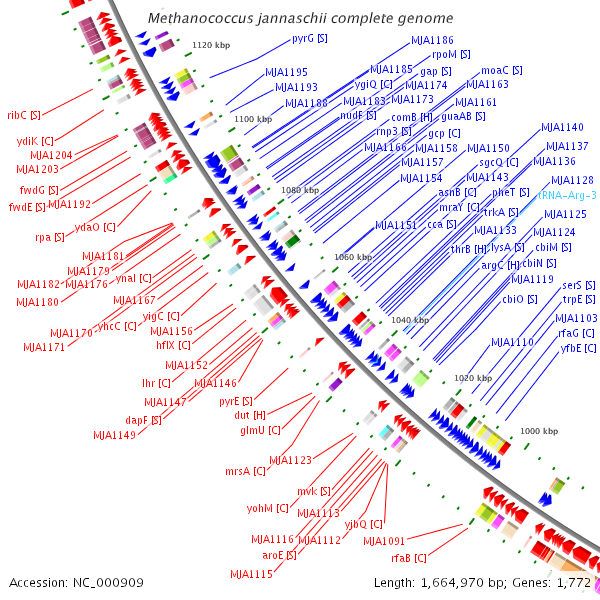 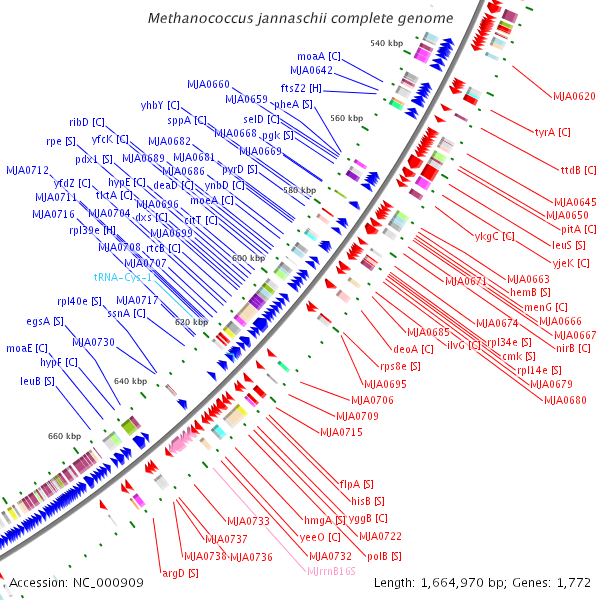 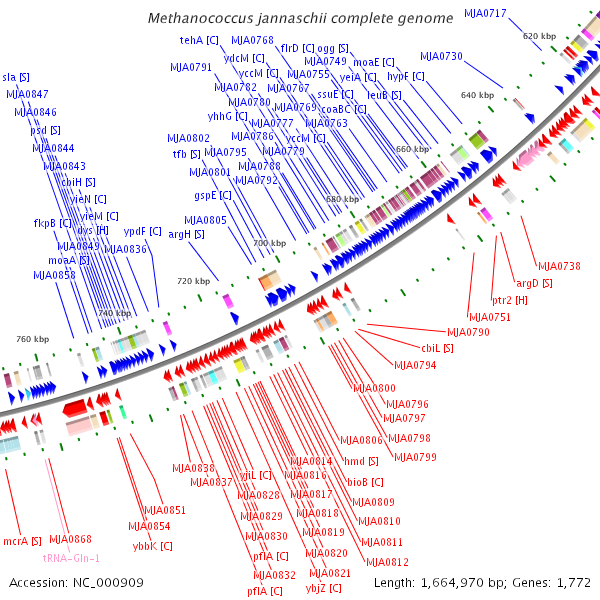 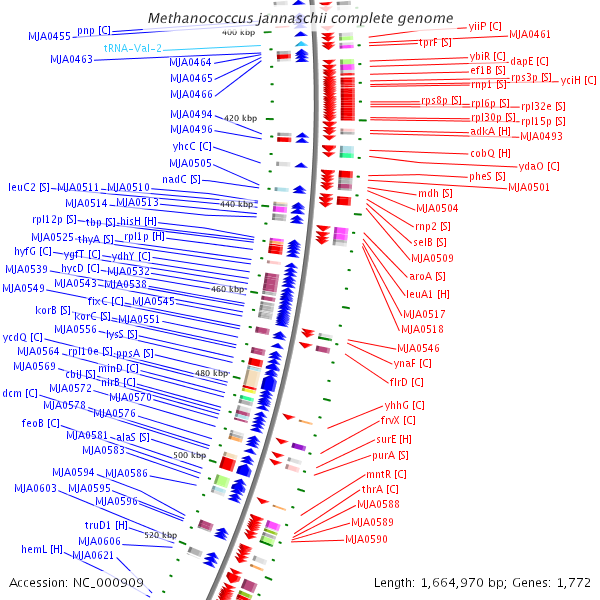 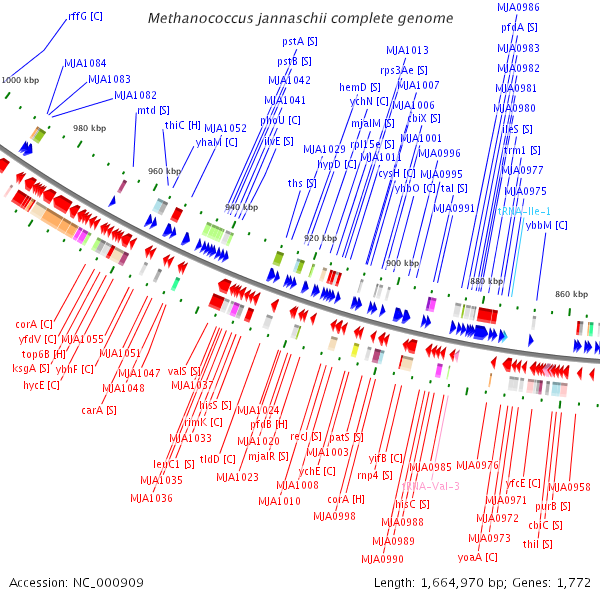 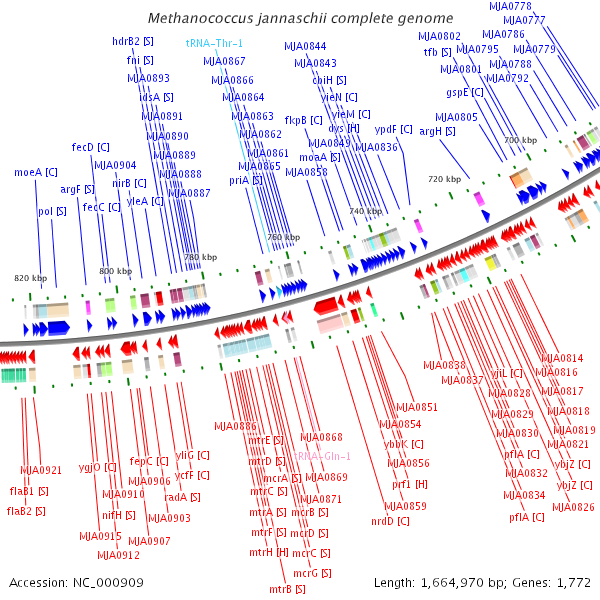 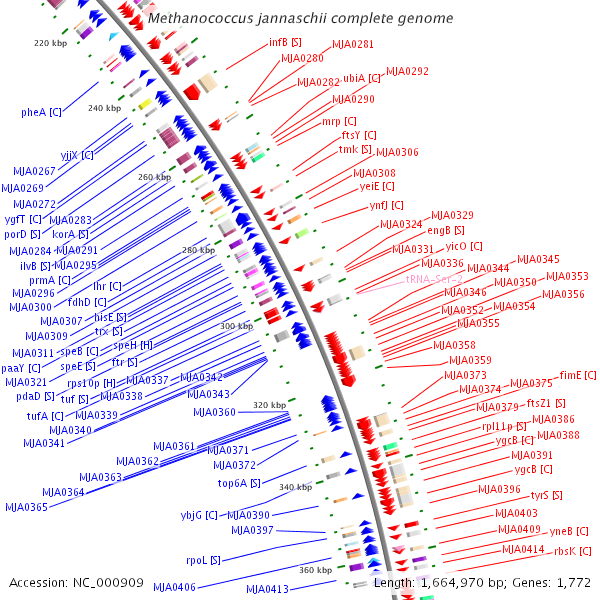 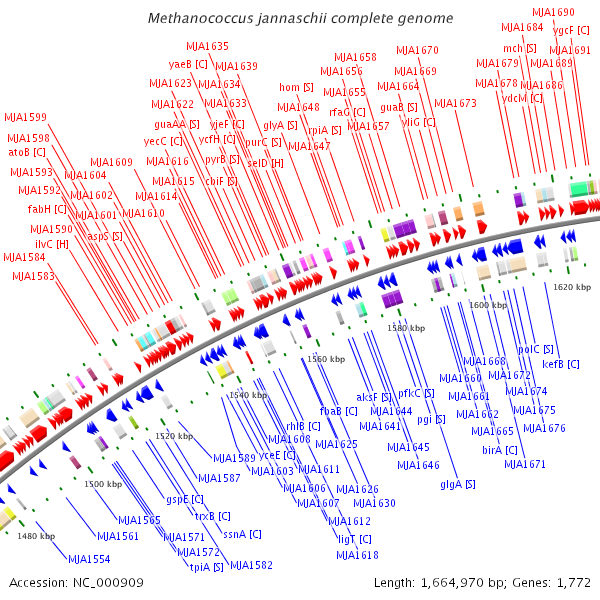 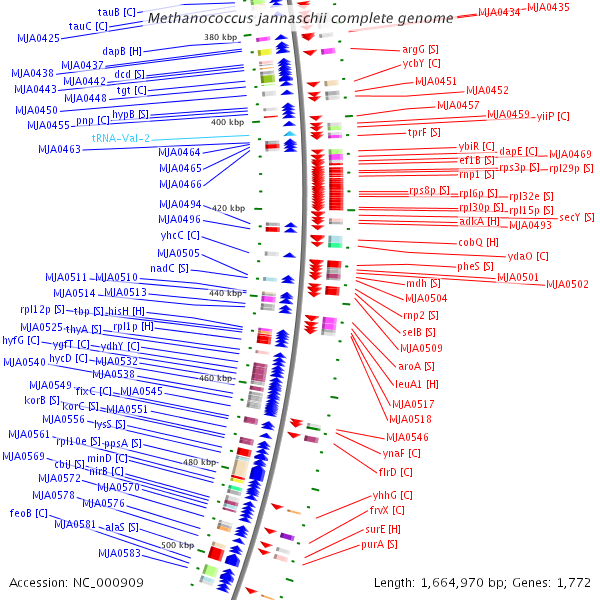 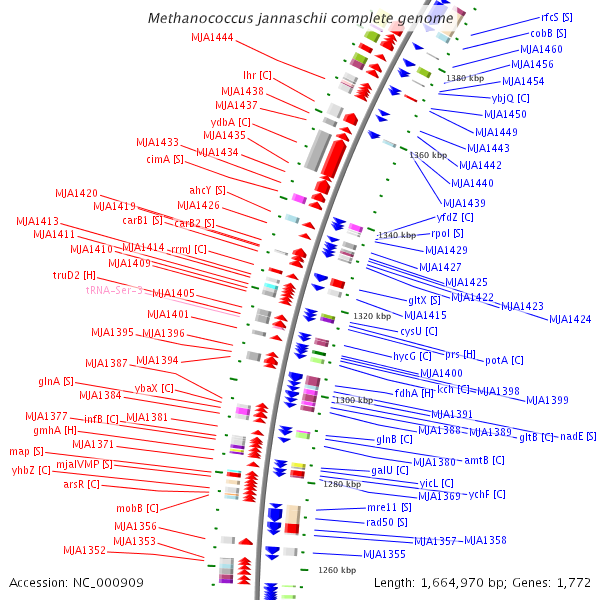 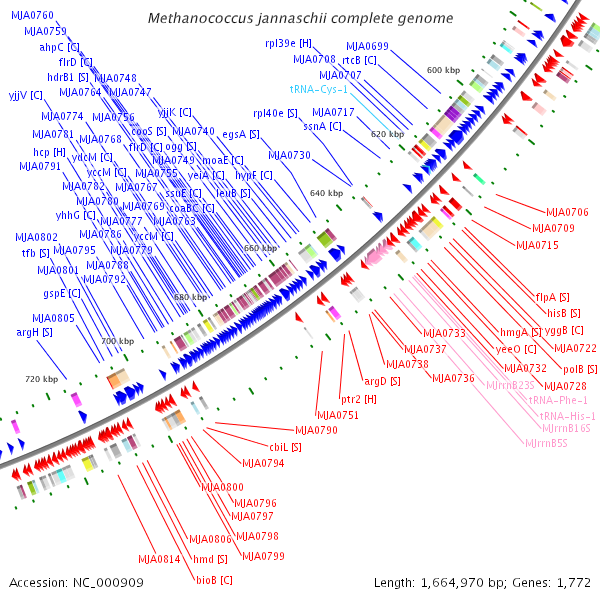 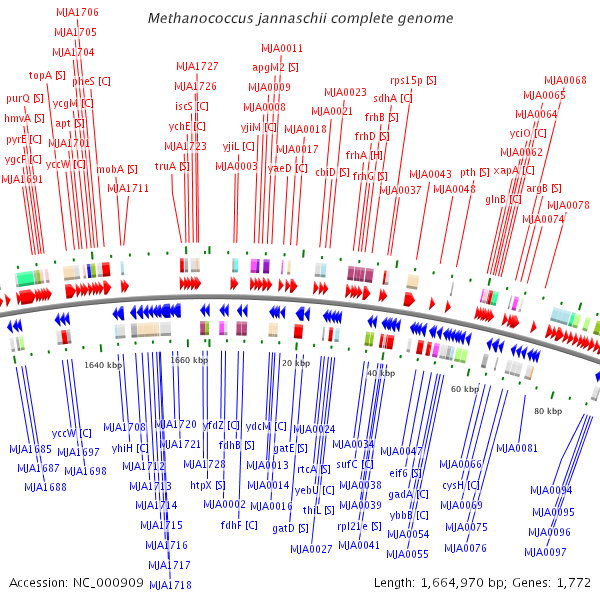 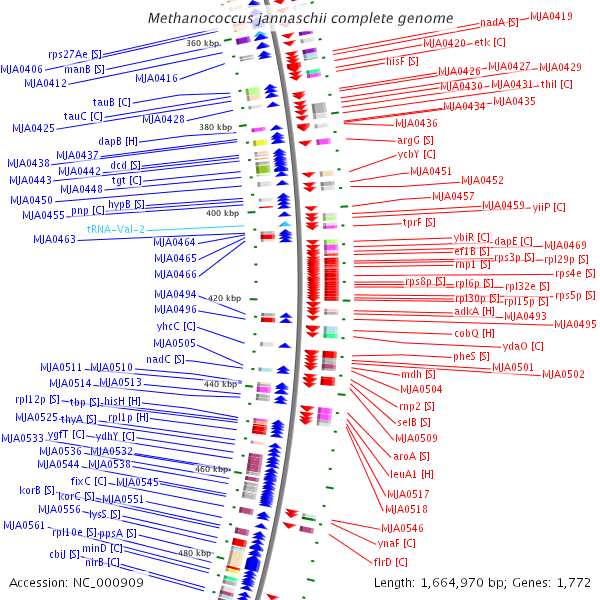 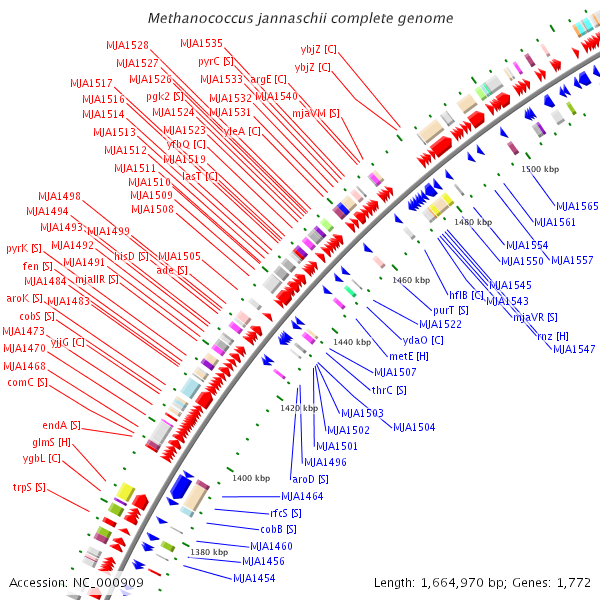 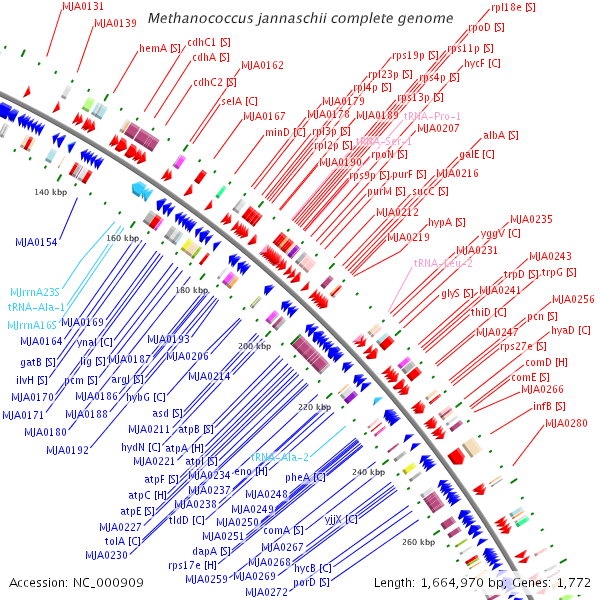 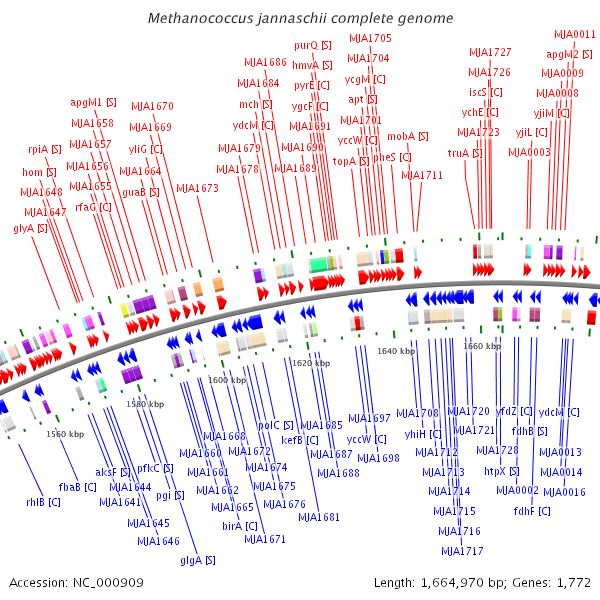 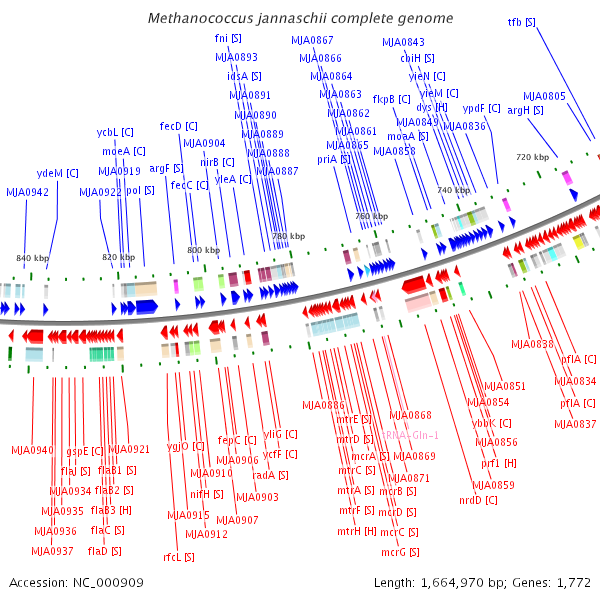 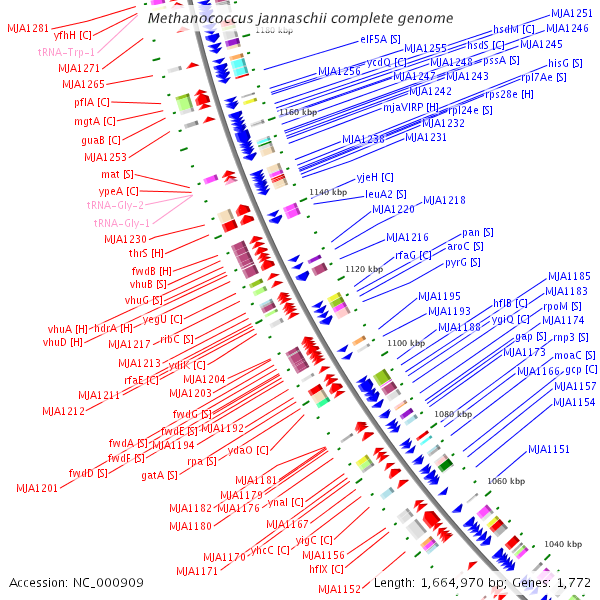 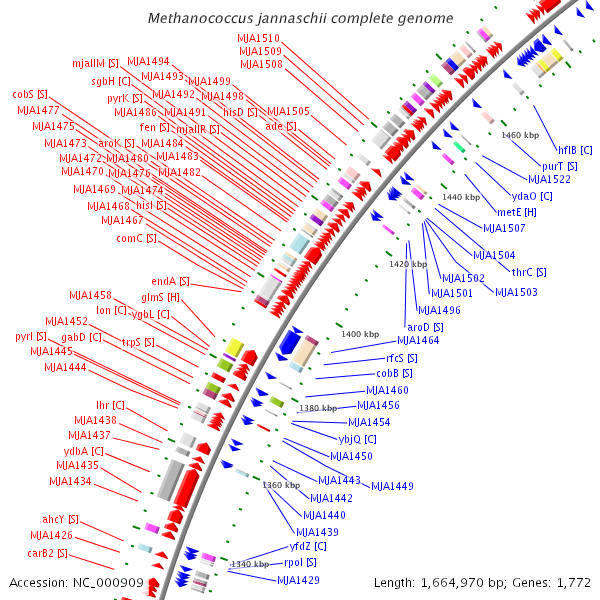 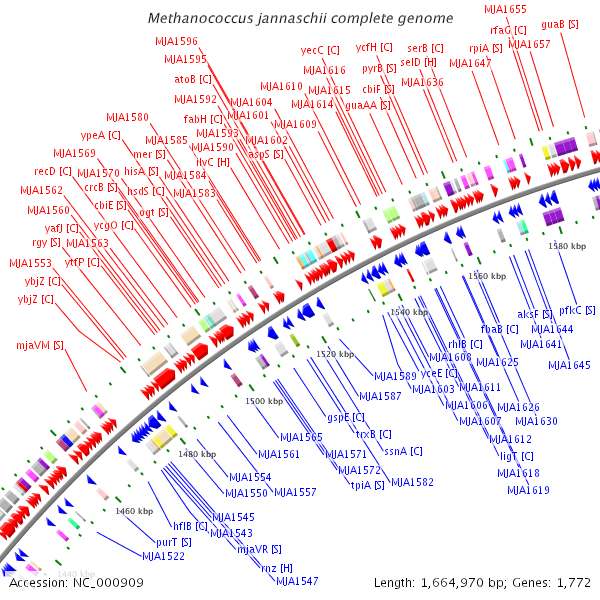 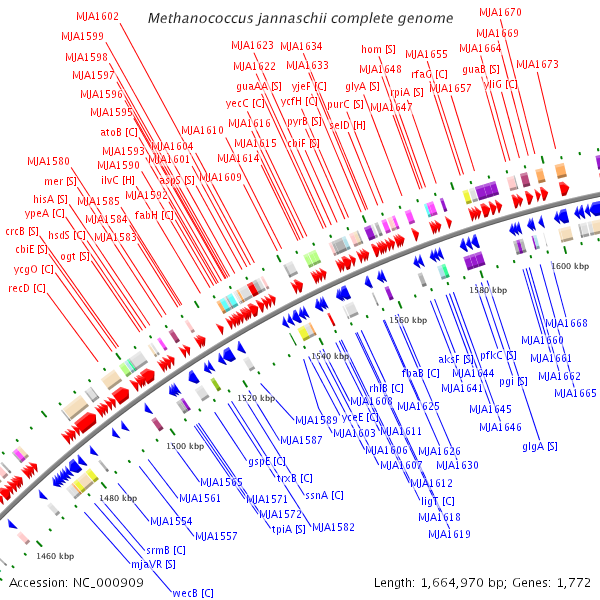 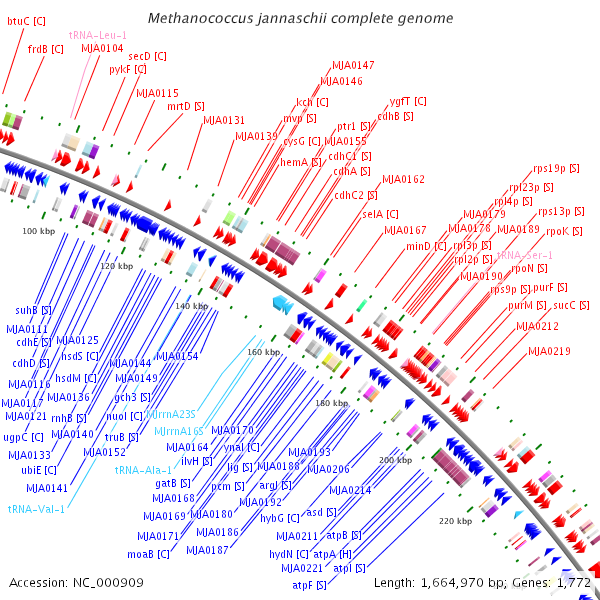 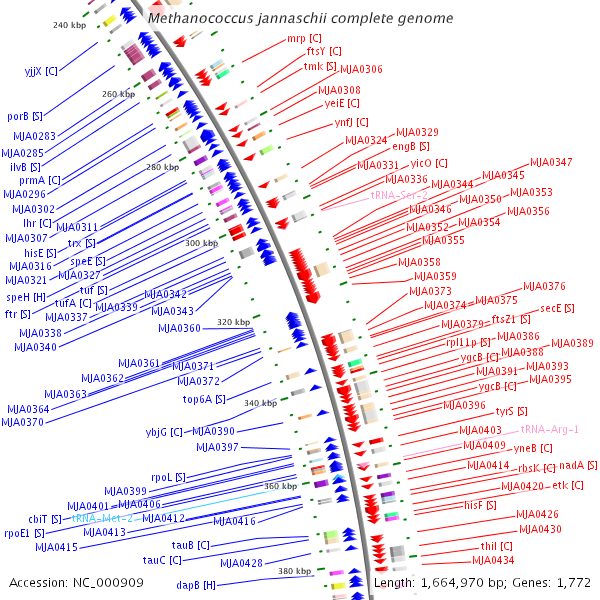 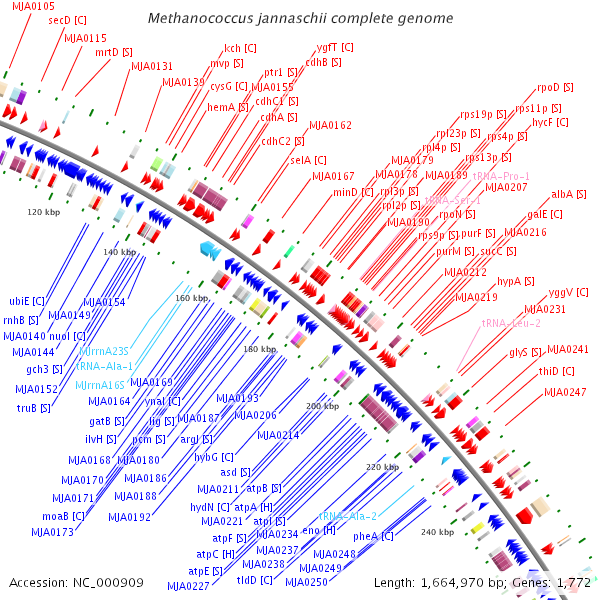 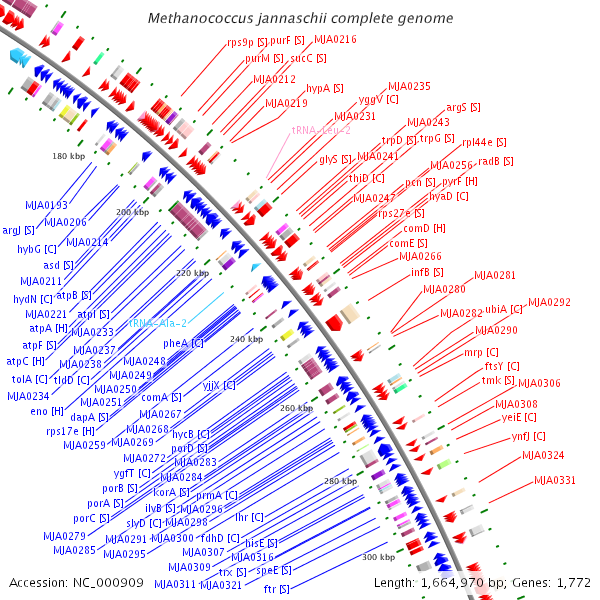 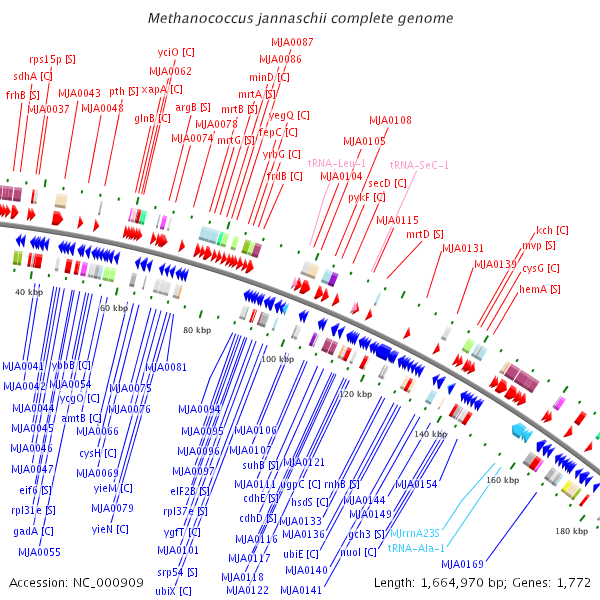 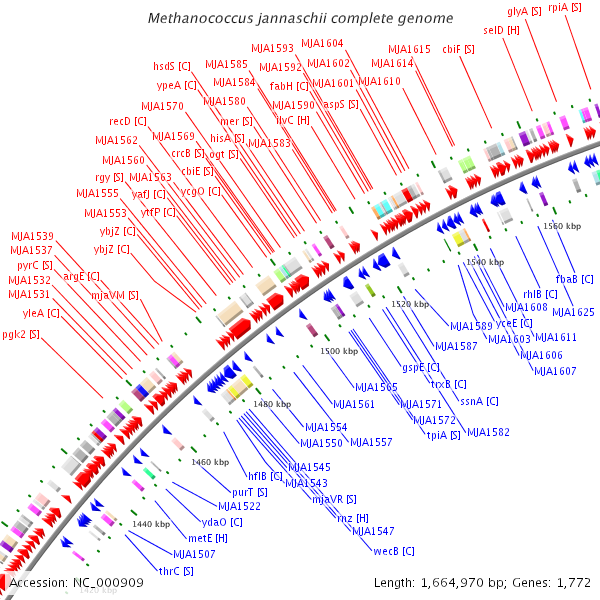 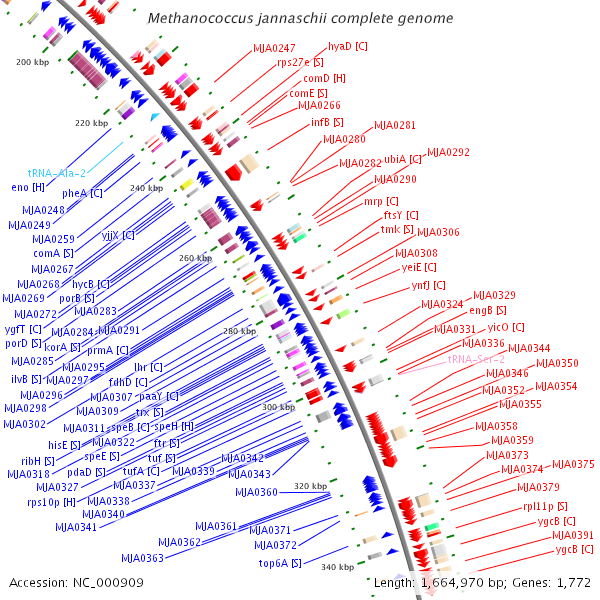 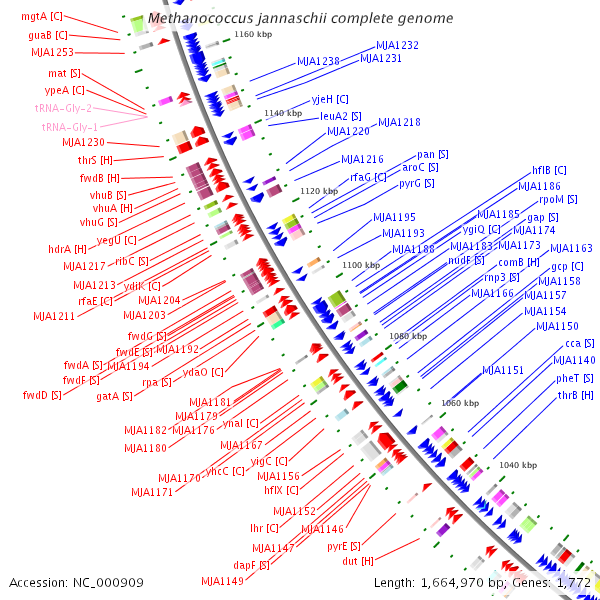 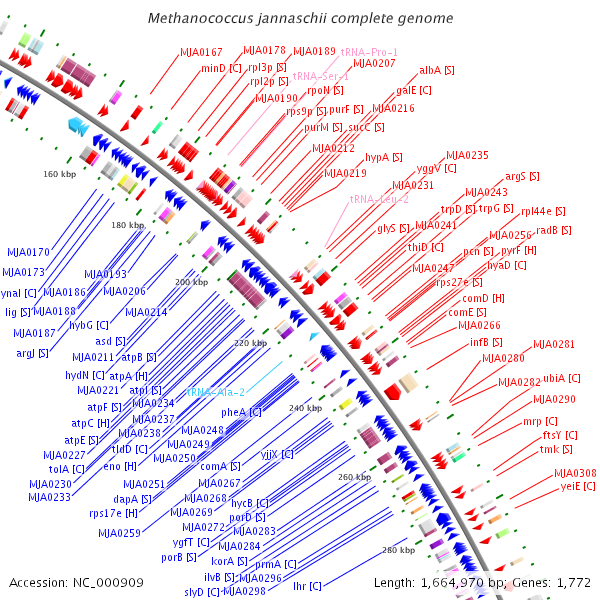 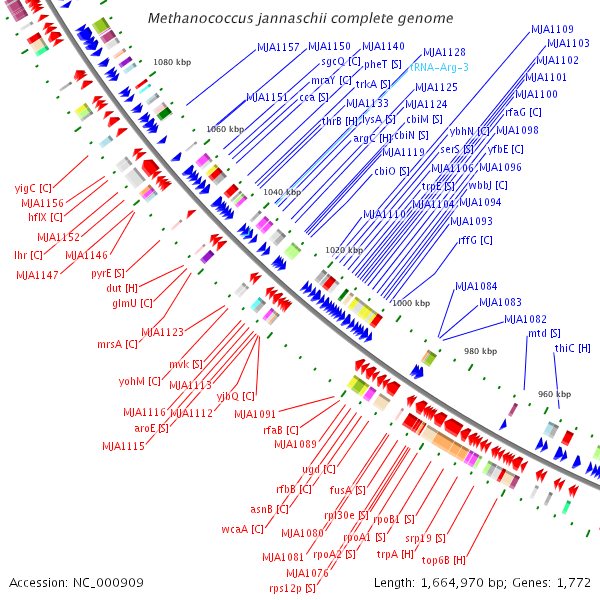 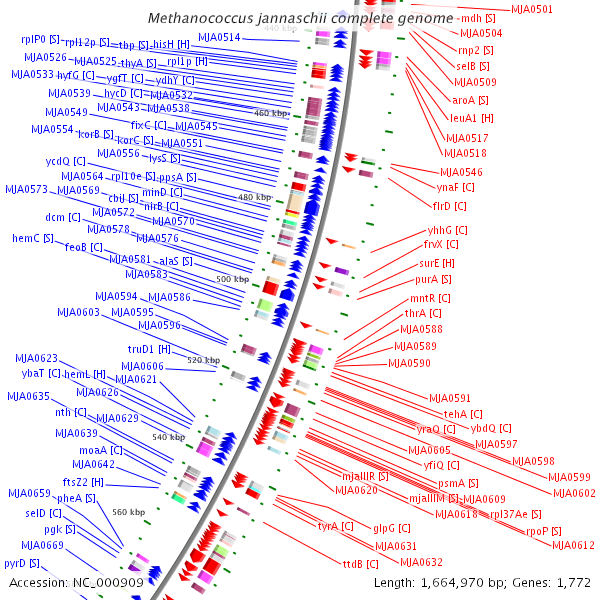 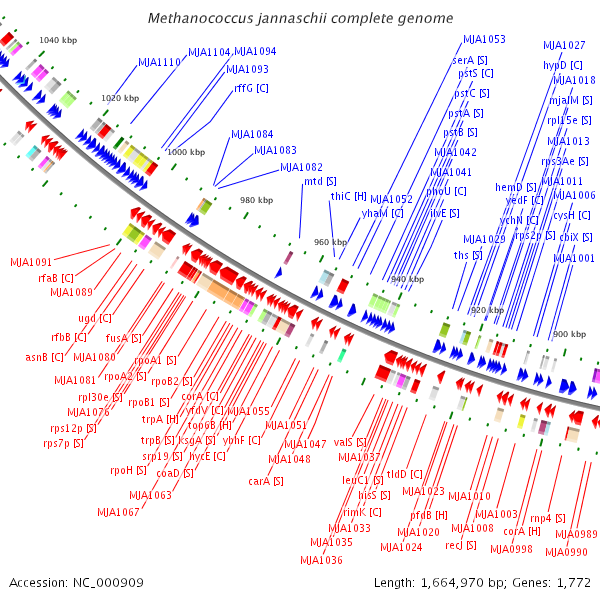 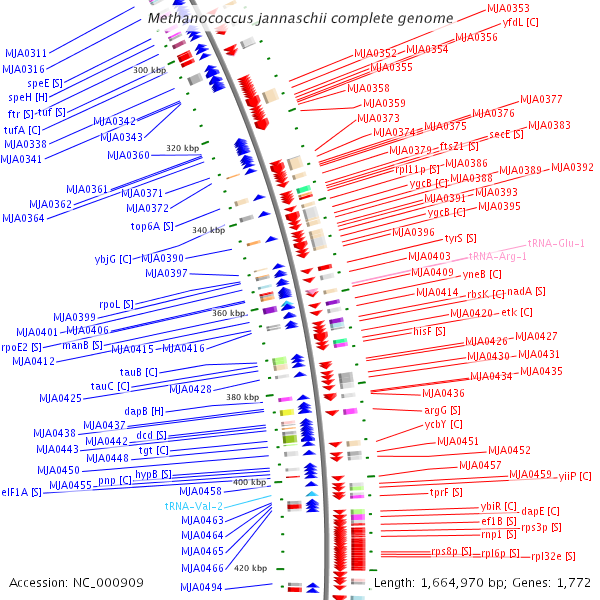 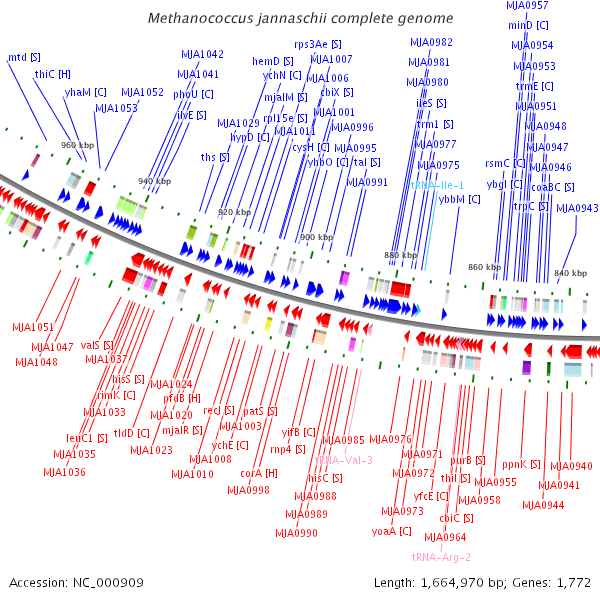 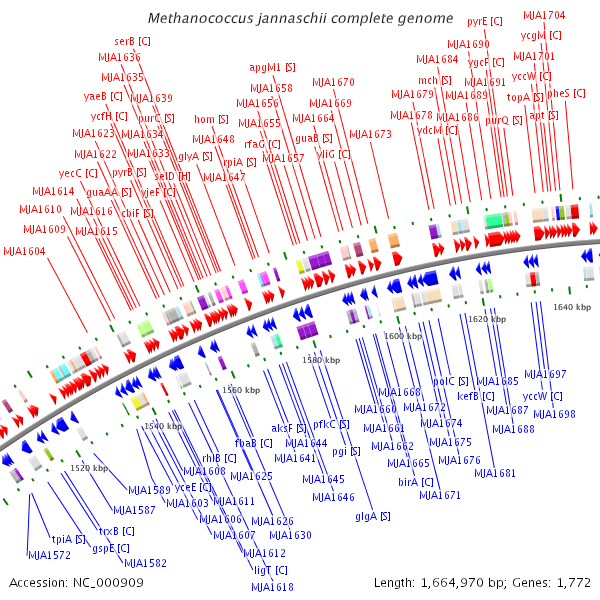 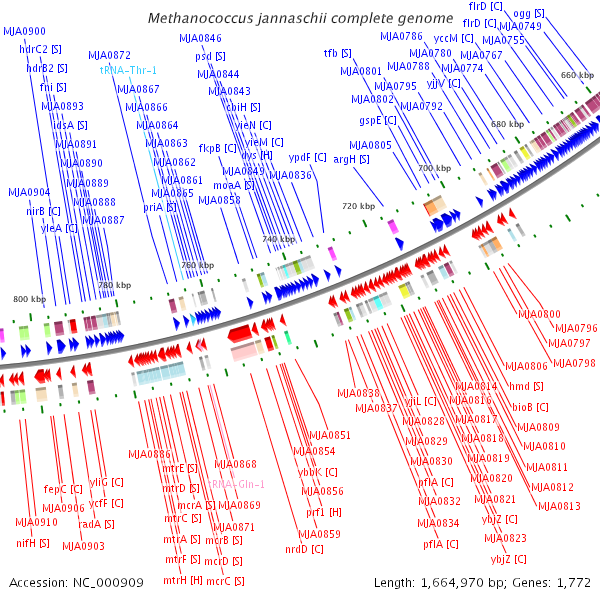 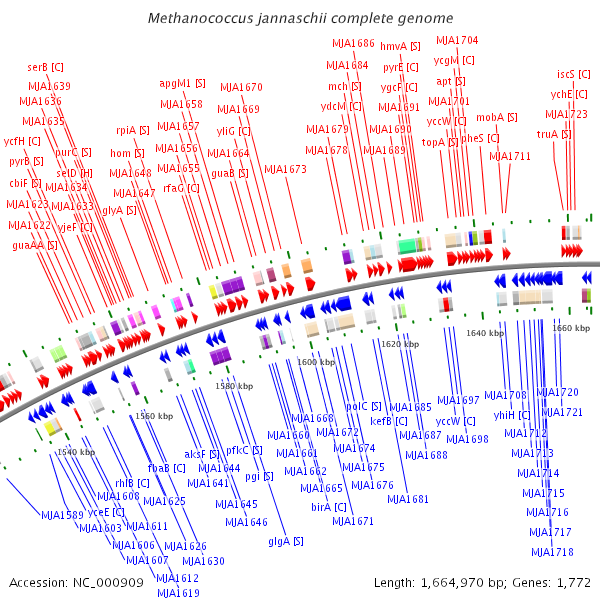 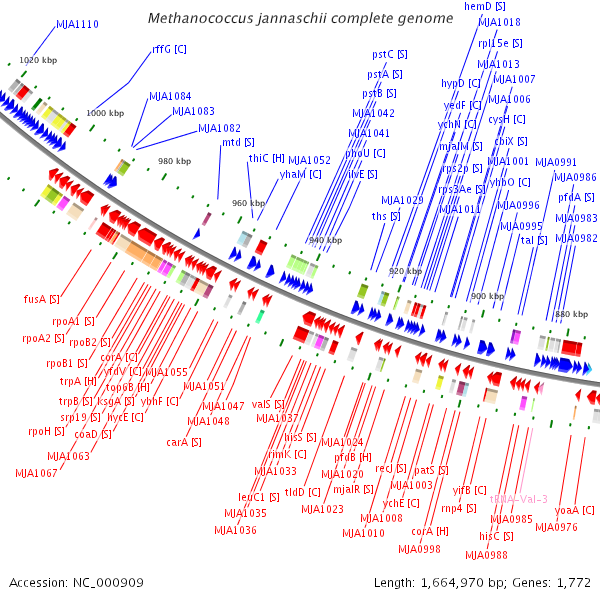 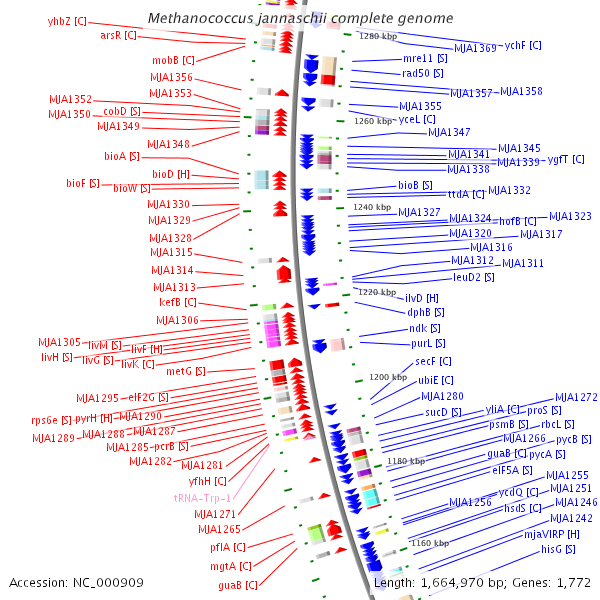 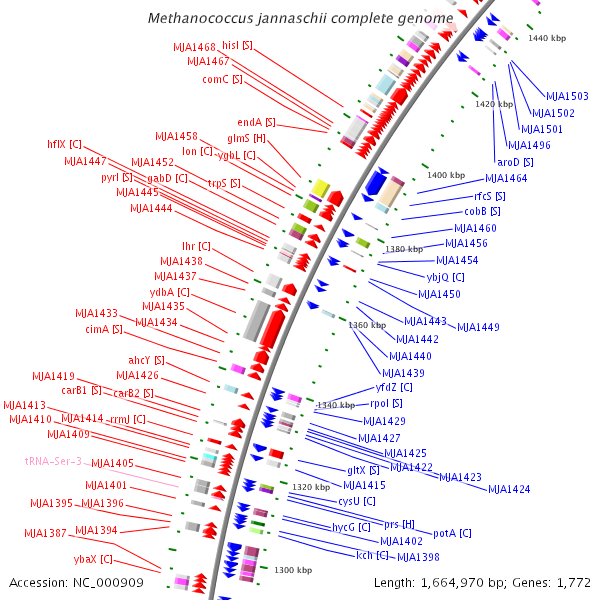 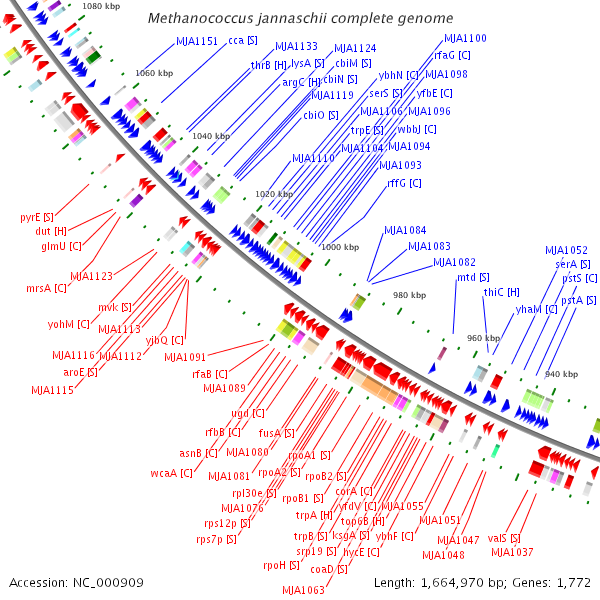 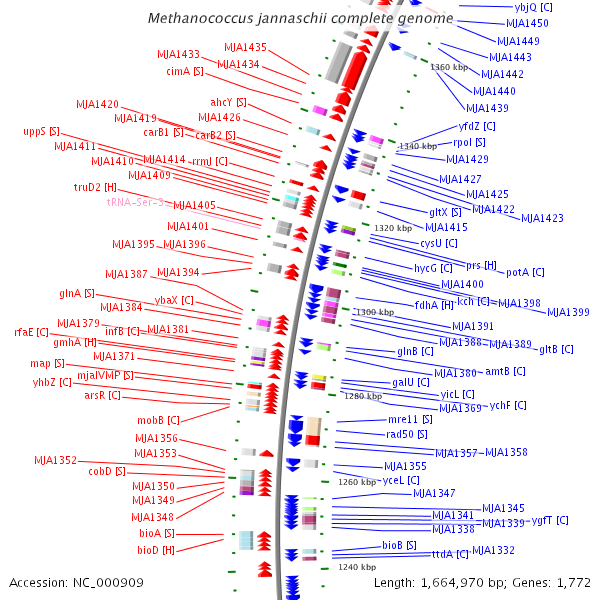 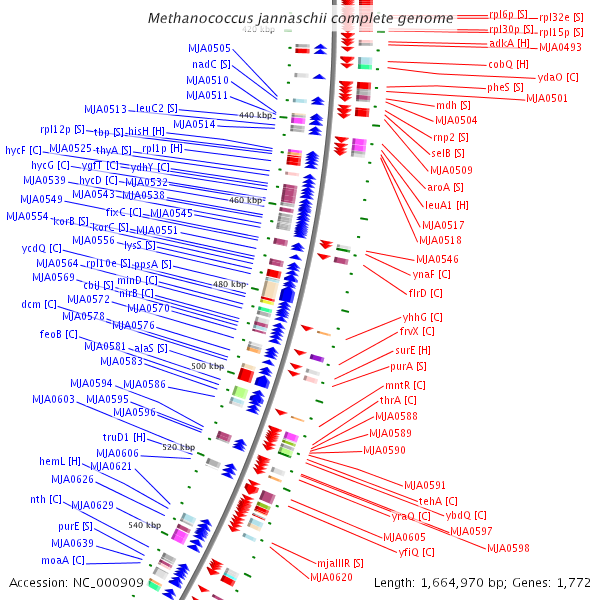 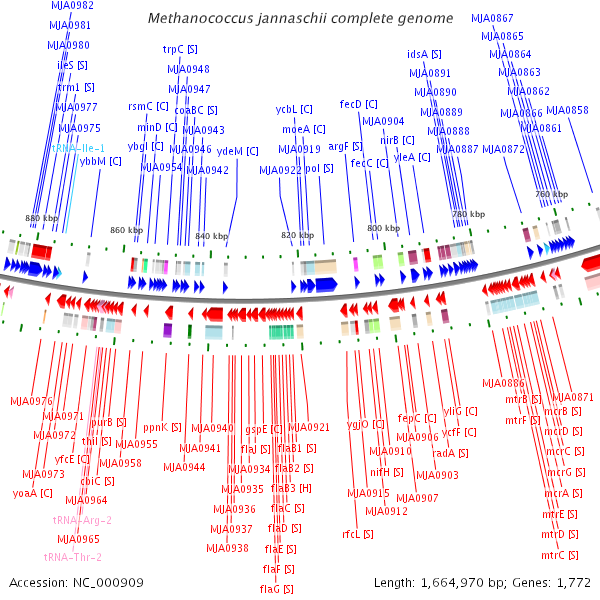 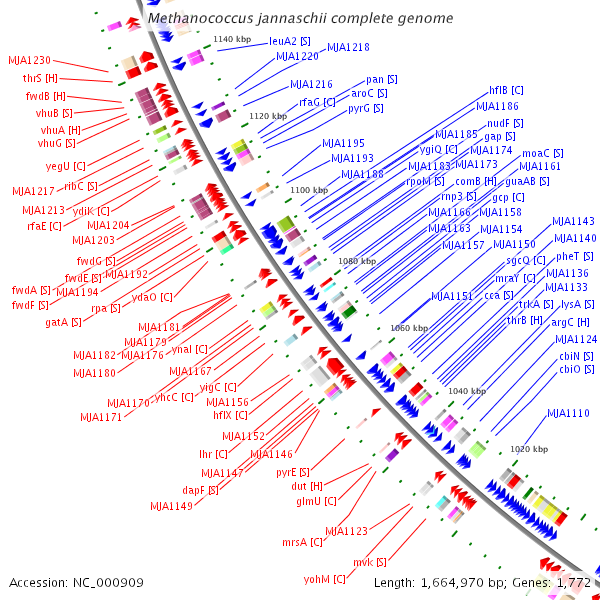 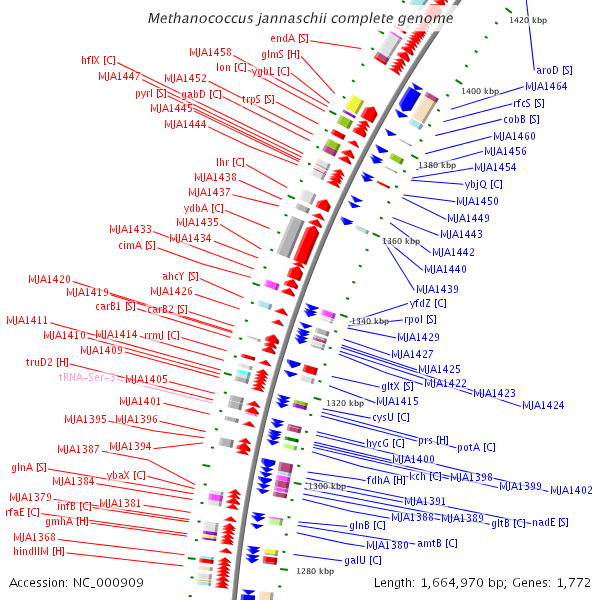 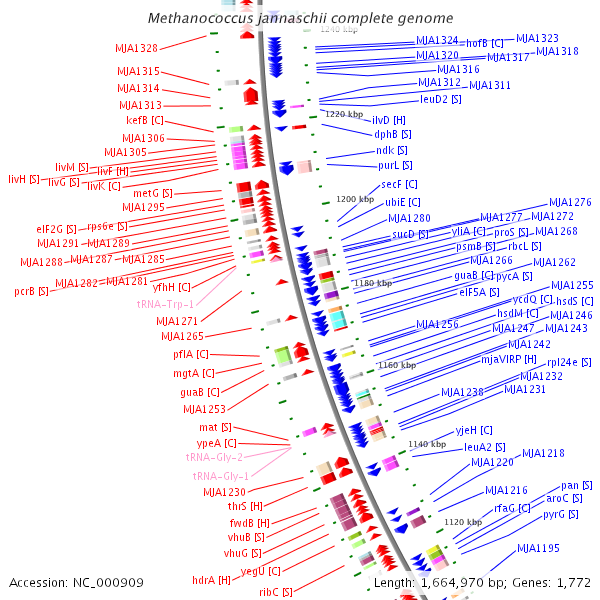 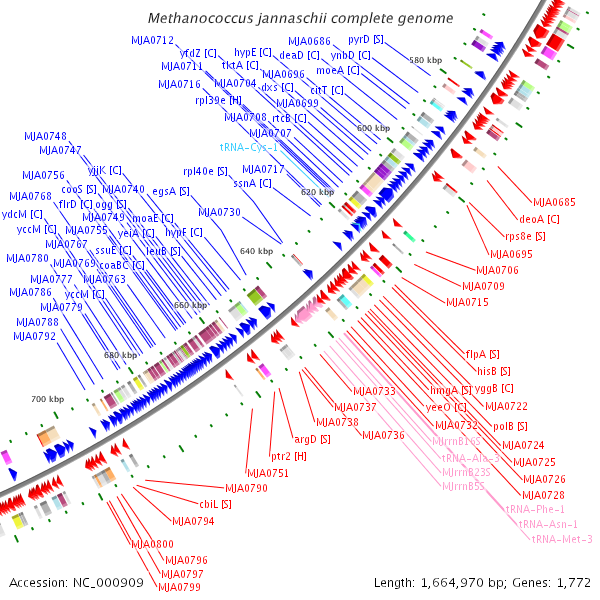 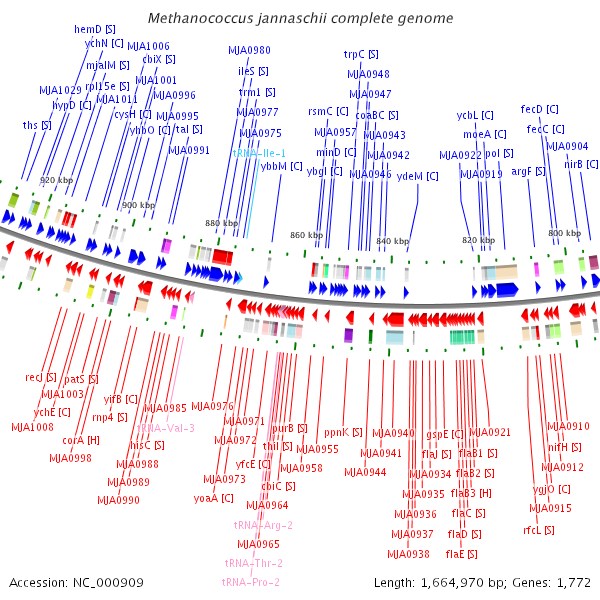 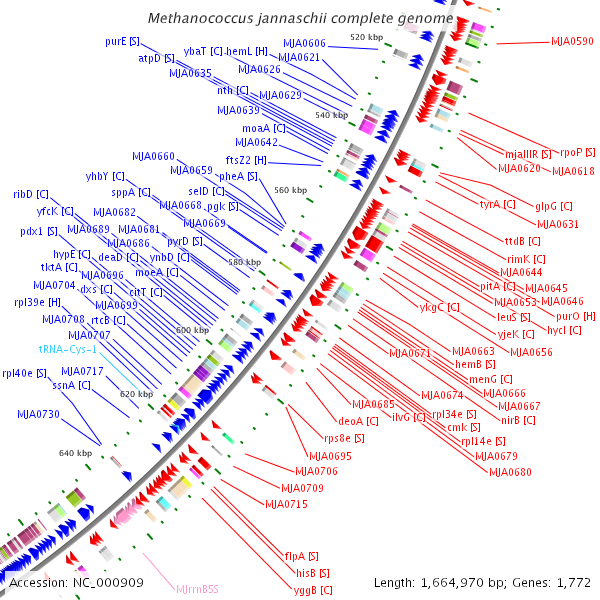 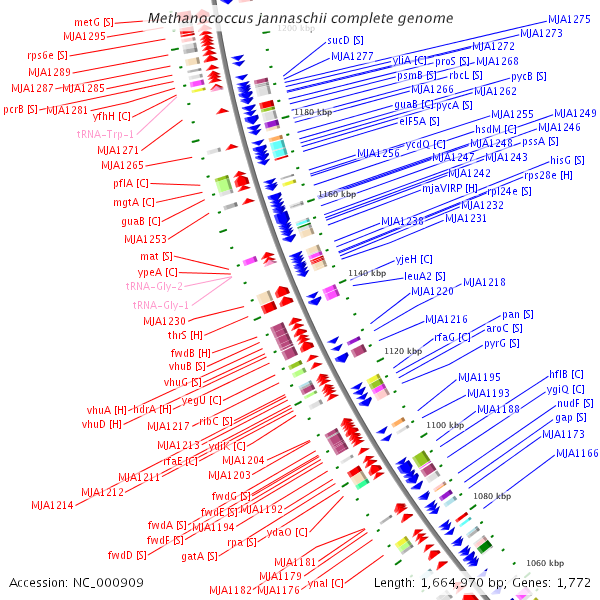 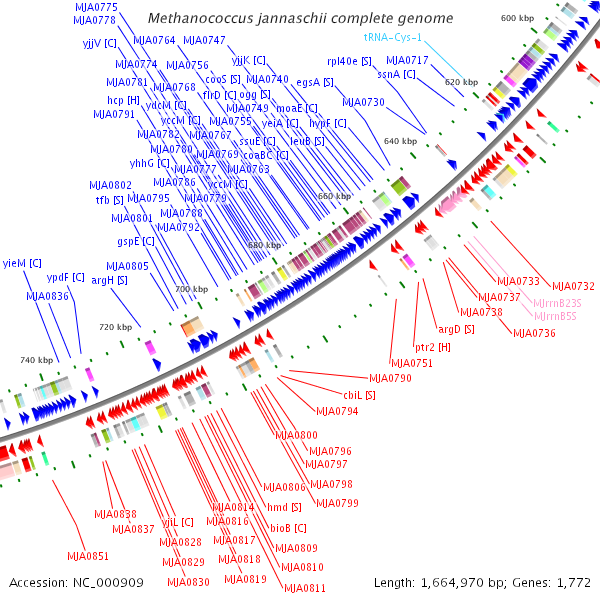 Below is an interactive graphic of the complete genetic sequence of M. Jannaschii that has Stephen Taylor's musical composition applied to it. 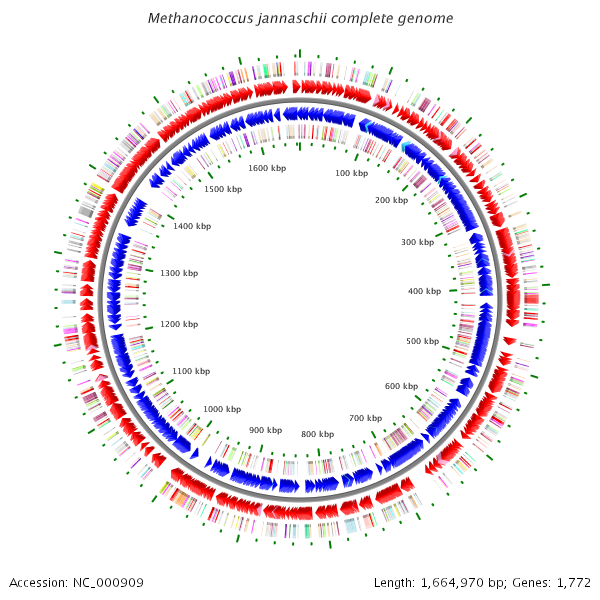 Zoom into the image by clicking the outer ticks marks of the graphic, which will play the music composed for that section. 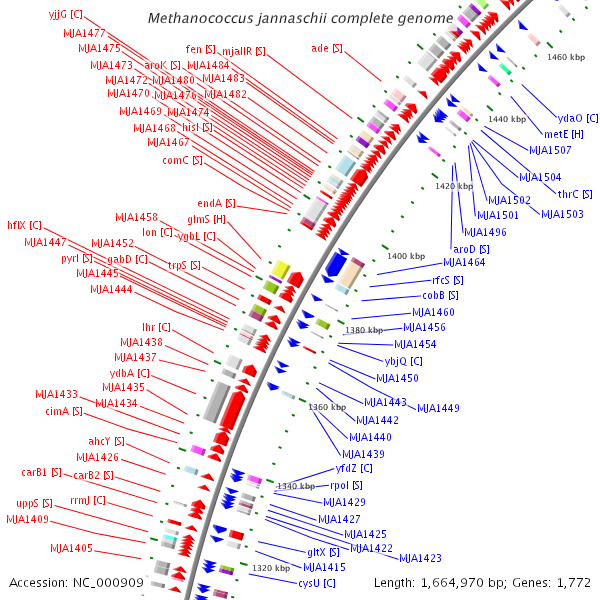 While zoomed in, you can move to the previous or next section using the ROTATE CW and ROTATE CCW buttons. 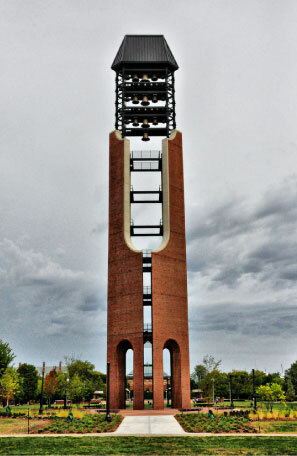 Listen to the sounds that are applied to the color key to the right by hovering over each color box. 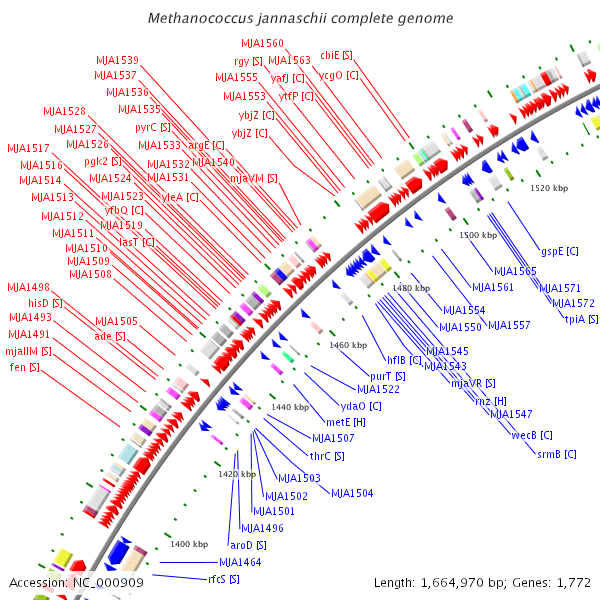 The genetic data and images are provided courtesy of the BacMap website and the University of Alberta.